Current student Nathan came prepared for a semester in Copenhagen. Using the app Duolingo, he practiced Danish one hour a day for 80 days, and by the time he landed in Lufthavnen, he could easily lead a conversation with a Dane. We were so impressed with Nathan’s language skill, we had to find out more about how he achieved it! Hi Nathan, thanks for talking with us. First, why did you choose to study abroad at DIS Copenhagen? 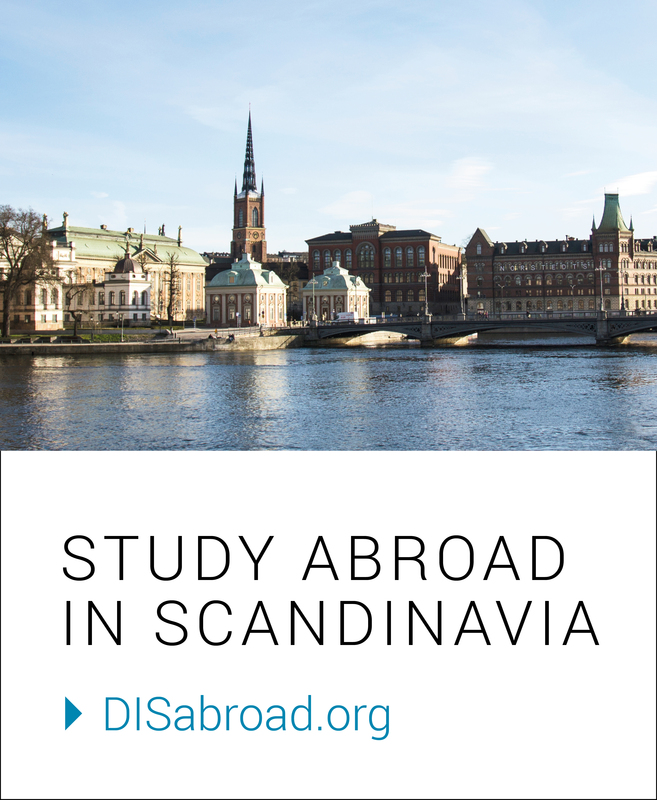 Ever since I learned about the Scandinavian societal model– generous welfare state, low income inequality, high satisfaction of life, I’ve had a strong interest in coming to Scandinavia to study abroad– to experience the society and culture, and to see if I could see myself living here at some point in the future. I was also looking for a strong Environmental Science program, and was attracted to Scandinavia because of the countries’ environmentally progressive reputation. As it turned out, my home college is affiliated with DIS, so this program was a perfect fit! 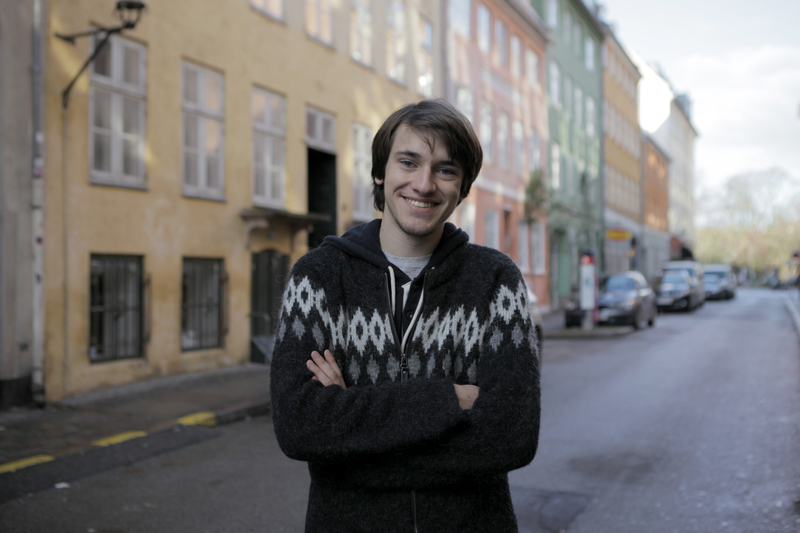 Tell us more about how you learned Danish before studying abroad. What inspired you to do that, and how did you go about doing it? It was mostly principle; I don’t like assuming that people will speak English wherever I travel to. A lot of English speakers I know back home don’t feel the need to learn a second language because English is such a popular foreign language to learn. I think that viewpoint really limits your potential for experiencing another culture. To master the language itself, I used Duolingo, which is a free app and website for learning a foreign language. Over the summer, I was doing lessons on it for at least an hour a day, every day. I also kept journal entries and watched a lot of movies in Danish– which, looking back, was a smart move. Watching a movie can open a window into the culture you’re trying to learn about, and you actually get to hear the language being used in something other than grammar exercises. Danish is a difficult language to learn … what was the experience like learning through an app? It was certainly a challenge! The major drawback was that I didn’t have a native speaker to talk to, so developing conversation and comprehension abilities was pretty hard. Lots of times I’d just go on walks and have a conversation with myself out loud in Danish. I got a few weird looks from passersby, but it definitely helped. The other hurdle was pronunciation. Danish has a lot of nuanced vowel sounds that don’t appear in English, and since I had no one to talk to, I had no one to correct me. However, since Duolingo has an audio component to it, I managed to get some practice with this before coming to Denmark. How did knowing the language amplify your experience abroad? Initially I was just happy that I could read street signs and order coffee in Danish, but as time went by, I found myself connecting with Danes, specifically because I could speak Danish. They didn’t expect me to know any Danish, and were much more willing to open up to me when they saw I’d taken the time to learn their language well enough to speak it. The other thing was that, since I was able to speak Danish, I felt like I had more insight into the Danish mindset, and could actually adopt it, to some extent. It’s an amazing experience when you find yourself able to not only blend into a culture, but also start to assimilate, even if you’re only there for a finite period of time. Would you recommend learning some Danish to other students before they study in Denmark? Yes, absolutely! I suggest a healthy mix of Duolingo, Danish movies, news articles, journal entries, and conversation with a native speaker if possible, as well as a big dose of stick-to-it-iveness. Learning a language is time consuming and can be frustrating. However, the more you push forward, the easier it gets so don’t give up! I guarantee you that any time spent learning Danish before coming will serve you well. What is your plan after graduation? Would you like to return to Copenhagen? I really hope so; I’m planning on applying to work for DIS as an intern after I graduate. After that, I’d like to get my Master’s and Ph. D. at Copenhagen University, and maybe end up living here permanently– I’ve really fallen in love with Denmark. We’ll see what the future holds! Great Praise to Nathan for taking the time and making a great effort to learn a language, which enhanced his study abroad!!!! Great job! Could you share a list of Danish movies you used and how you were able to watch them in the US?